life that you have been talking about for so long. Live the life you should be living. working on YOUR LIFE and YOUR FUTURE. This is the year of Financial Freedom. Make it YOUR YEAR to SHINE. Hello, my name is Paul Kenny. I have had over 30 years in the music industry as a teacher, performer, recording artist, music producer and educator. I have also had many years in business as a business consultant, manager or marketing manager for international companies as well as companies here in Australia. I have seen the good times and the bad times for so many people. I have searched for something which could bring in an income and not only that bring in a residual income that was working for me 24/7. Sick of the day to day work and the declining commissions on music albums due to the take over of online radio streaming. There has to be something better??? Life was not meant to be constantly working and constantly thinking about how the bills are going to be paid. So after years of searching and researching I discovered 'Residual Income'. What a game changer this has been. I now want to work with as many people as I can to help them make change in their life. I want a better life for everyone. So, now the secret is out and I am telling the world. You can be part of this and I would love to show you the way. Residual Income is, how it works and why it is an essential part of creating the lifestyle you have been dreaming of. You can do this. Everyone has the ability and the power to change their lives for the better. You can have the lifestyle you have been dreaming about. All it takes is determination, a genuine want to make a better life and a change of mindset towards health and wealth. Did you know that 85% of people hate their job!! This has a flow on affect which causes health problems, depression and really a poor quality of life. Imagine such a change of MINDSET where you actually start enjoying your JOB and start to live life again. How cool would that be!! Health, Wealth and Financial Freedom. ​ The earlier you start working on something the earlier you will start to see the results. Harness your inner strength and improve your health and wealth. Change your mind... Change your life. It's that easy. You were created for so much more than you believe. It is possible for you to achieve anything in life. Now is your time to achieve anything you want in life. You can create the lifestyle you have been dreaming about. It is possible to succeed and turn your goals into reality. Now is the time for you to invest in a better you. Live your life the way it was designed to be lived. If you are willing to put in the work, you can achieve anything. Health and Wealth through Residual Income. Join with me and make this year YOUR year to shine. We are often given chances in life and then have the need to make a decision. Some decisions can be totally life changing. It's up to you which path you take. Yes or No. It's up to you. I said NO for many many years until one day I simply took the other path and said... YES. Yes to change. Yes to financial freedom. Yes to better health. Yes to living my life how I want to live it. YES to being positive, happy and YES to friends and family. If I can do this then you can also do this. Become the person you were created to be. ​Invest in yourself by raising your standards. What if I could show you a way to have a Residual Income simply for referring people to something that is healthy and life changing? Imagine finding something that earns you an income. Something that is earning you income 24/7. A residual income which allows you to pay your bills, buy a new car, take the family on holidays, maybe purchase a holiday house or investment property!! A residual income that is working for you while you enjoy your day shopping, at the movies or beach with your family, even while you are sleeping. Contact me right now. That's all you need to do. I would love to show you the way to a better way of life. I am guessing you can tell how excited I am!! Well, there are a few reasons for that. I've seen how life changing this can be for people. Average people like you and me who are making massive changes to their life. Plus I am also excited because I can't wait to have a chat with you and start helping you with your new life. I love showing people that there is a way to escape their normal 9-5 J-O-B. Get in touch today and start "Mastering Your Universe". 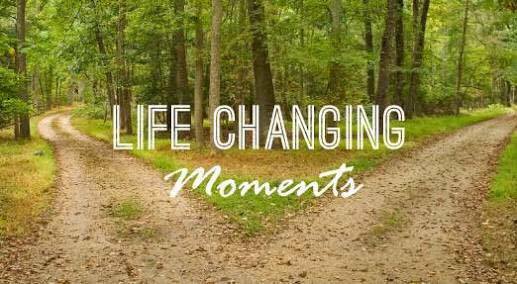 ​This could be a life changing moment. Learn how to build a business with residual income and give up your 9-5 job. ​It's so crazy that some people think 2-5 years is a long time in business to get rich but don't feel that 40 years at a job is a long time to stay broke!! If you do what successful people do eventually you will also be successful. 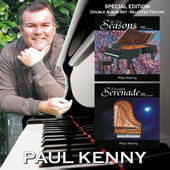 Paul Kenny is an Australian Composer, Music Producer, Pianist, Educator , Author & Motivational Speaker with over 35 years experience in the Music Industry and in Businesses both in Australia and also Internationally. His music albums sell approx. 1,000,000 copies per year and he is now also an advocate for health, wealth and financial freedom. We are often given chances in life and then have the need to make a decision. Some decisions can be totally life changing. It's up to you which path you take. Yes or No. It's up to you. I said NO for many many years until one day I simply took the other path and said... YES. You can do this. Make the change and say YES right now. Perhaps some FREE Relaxation Music to help you get rid of stress and relax. Stay Up-To-Date and LIVE with my FaceBook page. PodCasts available now on PodOmatic. Paul Kenny is an extraordinarily diverse composer drawing on a wide range of influences incorporating an almost classical like melody and more experimental digital influences within his music leading to an innovative style of truly inspirational and a magical style of music. (News/Media).